We have a customer who is in the process of turning his attic room into a home cinema room. He has kindly sent us images of the conversion and the installation of our products which he said we can use as a guide on how to install soundproofing. On this occasion he is soundproofing the floor. There are bedrooms on the floor below and he was concerned with disturbing anyone trying to sleep at night, particularly little ones. After he explained his situation and what he wanted to do we suggested he use the SoundSense Floor Isolation System. There are number of benefits to this system. 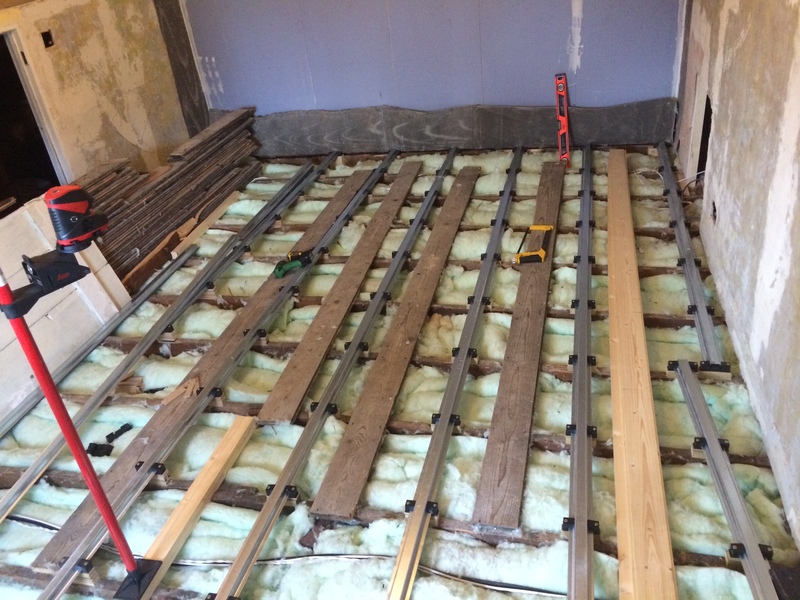 First the SoundSense Floor Isolation System will de-couple the finish floor from the joists. This means that any impact noise is considerably reduced, a good idea as subs and speakers will be sitting directly on the floor. Also because the floor is de-coupled from the joists any airborne noise is also greatly reduced. The other concern the client had was that the floor wasn’t particularly level and he wanted to remedy that at the same time. This is where the SoundSense Isolation System wins again. Because this system is a clip and bar system, the clips can be packed out with suitable packers to level the floor back up. Now that the floor has been completed he has good level floor. 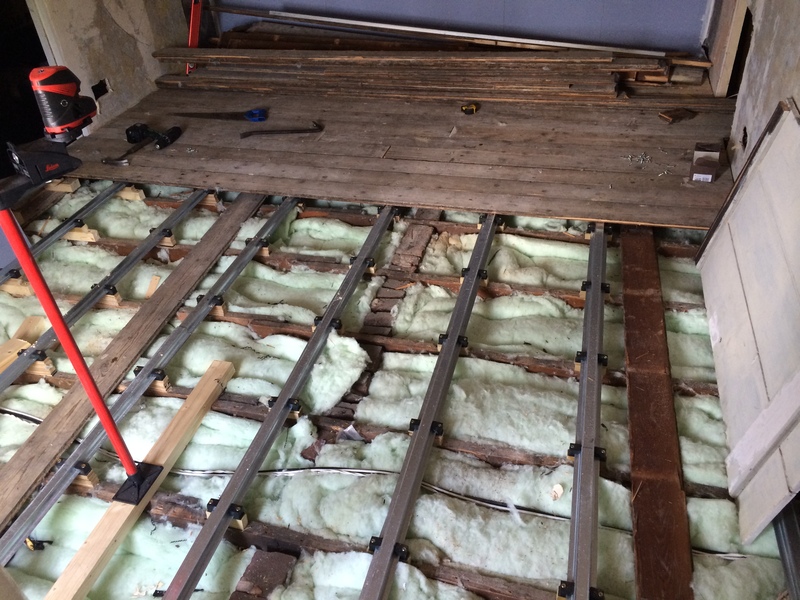 The first job was to take the original floor up. 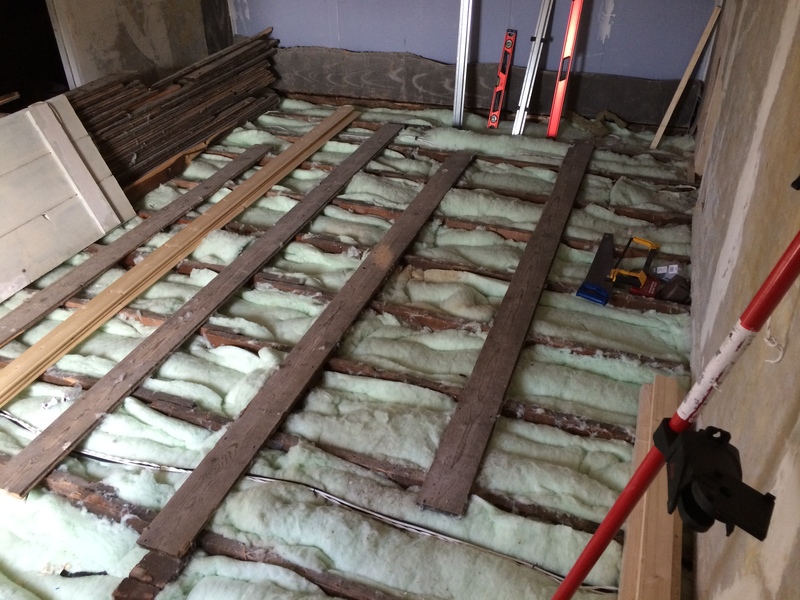 While the floor was up he took the opportunity to improve the thermal insulation. He also installed his sub and speaker cables. In order to keep his costs down he decided he wanted to reuse the floor boards he had taken up. While this is ok we would recommend you use fresh if you have the budget as re-using the old can be time consuming. 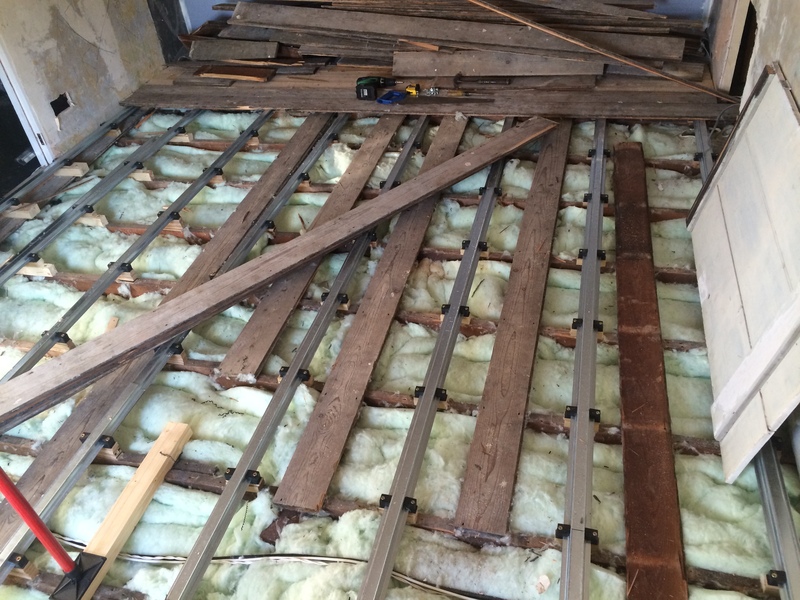 The next step was to fit the bar and clips in the opposite direction to the joists. He first found the highest point of the room and worked from there is determining how much he would need to pack up the rest of the clips by. 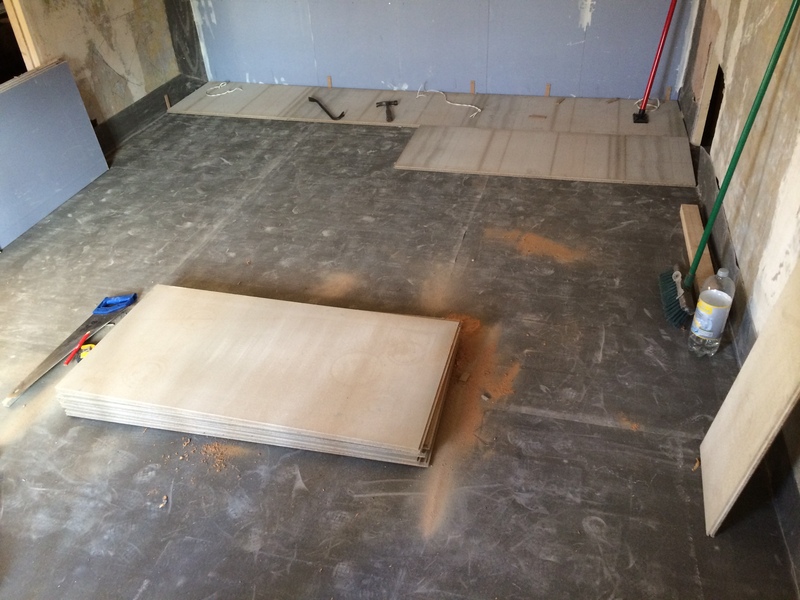 Now that all the bars and clips have been installed and he is happy that the floor is nice and level he is ready to start laying his first layer of floorboards, the original ones he first took up. When fitting the first layer of boards make sure you leave a 5mm gap around the perimeter of the room. 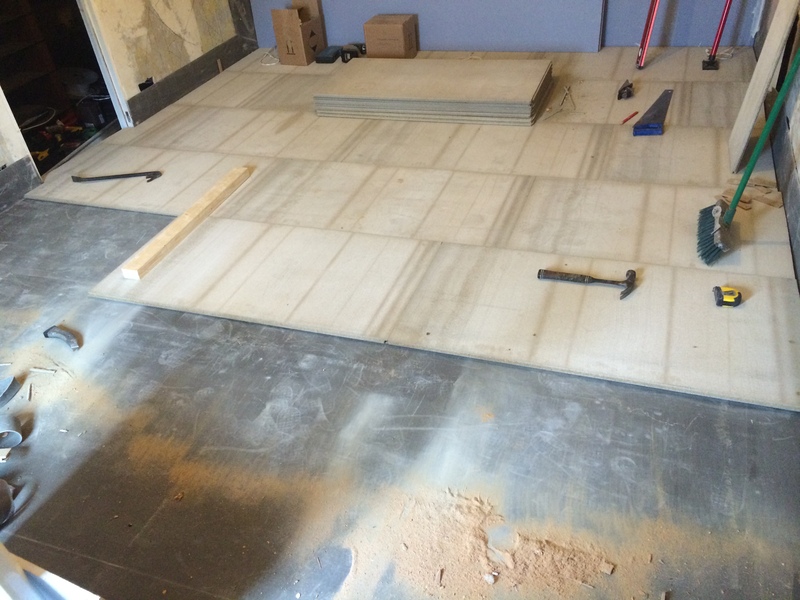 This will ensure that the floor is fully floating and no vibration from the floor can pass through the wall. Now that the first layer of boards are down you now need to seal the joints between the floor and the wall with acoustic sealant. It is also a good idea to seal and joins or gaps in the floor, another reason why it sometimes works out better to use fresh floorboards, you may end up using the money you have saved on using acoustic sealant to seal the gaps. The next step is to now install the soundproofing mat. Our client has opted to use one layer of 2mm Soundproofing Mat, however you could install 2 or 3 layers if you wanted. However s the client will be using our QuietFloor Acoustic underlay prior to fitting his carpet which has a layer of soundproofing mat in that, he has decided to go for just the one layer. Once he has finished the floor he will be soundproofing the walls so to combat against flanking noise he is running the soundproofing mat up the wall. 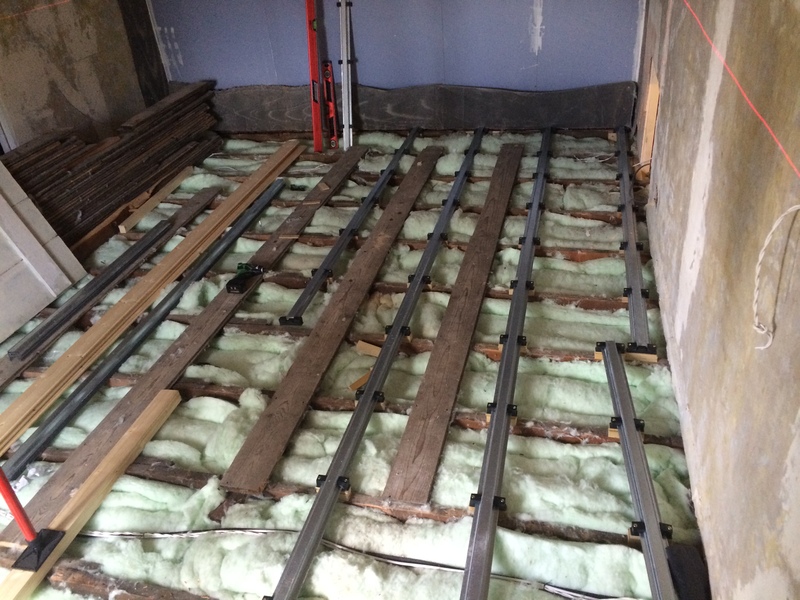 Once the installation of the soundproofing mat has been completed it is time to install the final floorboard. 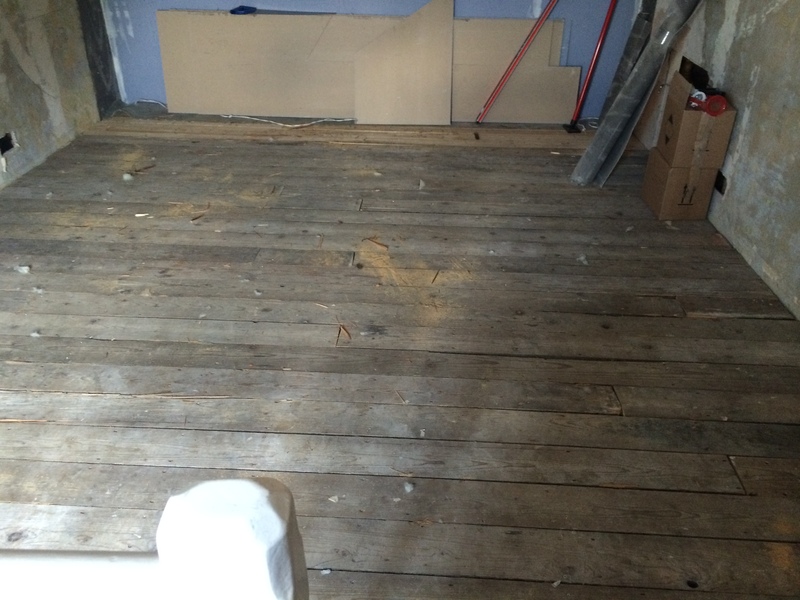 The client here is using our QuietBoard which is a cement impregnated floorboard. It is heavy and dense and so good for improve sound isolation. Make sure you keep the floor clean as you are going so as not to trap any debris under the floor. Again you need to make sure you leave that 5mm gap between the floor and the wall so that the floor is completely isolated and de-coupled from the wall. Once the board have been installed it is now time to complete the final sealing around the edges using acoustic sealant. 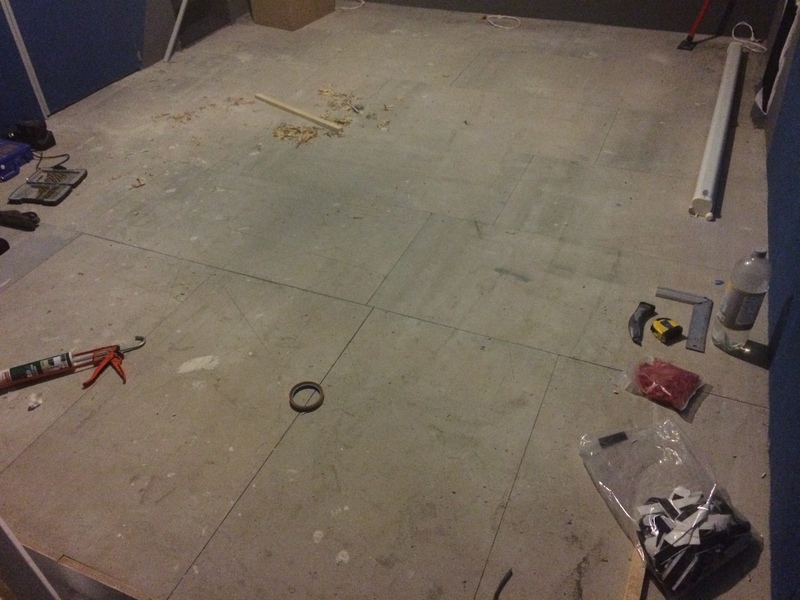 The floor is now ready for the underlay and carpet. 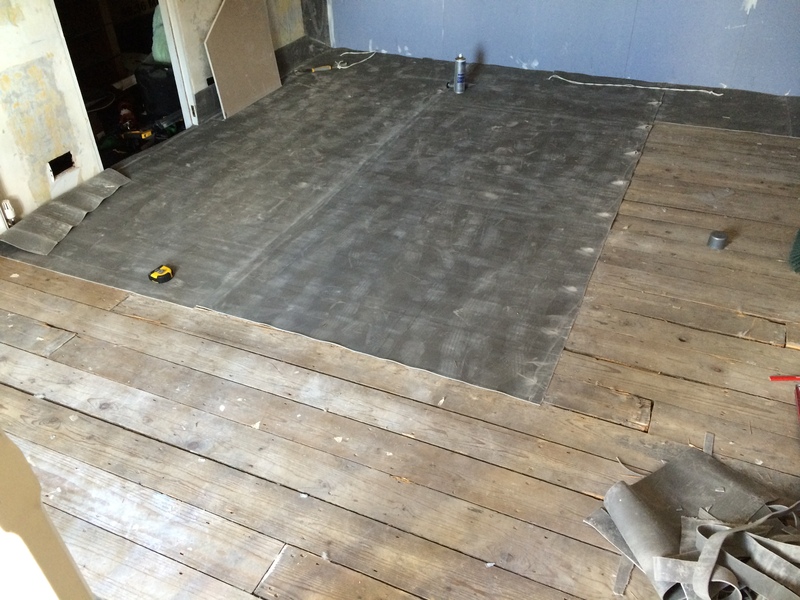 Our customer said he completed the installation in three evenings, not including taking the original floor up. Taking up the floor, removing nails etc. was the most time consuming aspect of the installation. While he has some good DIY skills he has never done anything like this before. Despite this he found the installation a simple process and is really happy with the results. His floor is completely isolated from the rooms below and the floor is now level. If you would like more information regarding the SoundSense Isolation System or any of the other products mentioned in this article or found on our site please don’t hesitate to get in touch emailing us on info@advancedacoustics-uk.com or by calling us on 01623 643609.